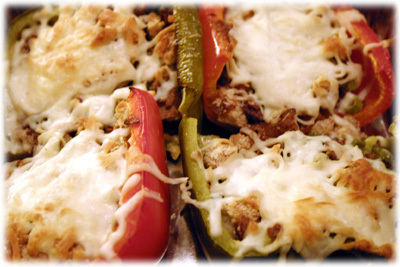 This isn't just a stuffed green peppers recipe, any color will do whether green, red or yellow. You may have seen or even made several different stuffed peppers recipes in the past, we've adapted the best idea's and flavors from all of those into this one recipe. Stir up some freshly grated Parmesan with some crumbled bacon, garlic and basil and get those peppers stuffed! 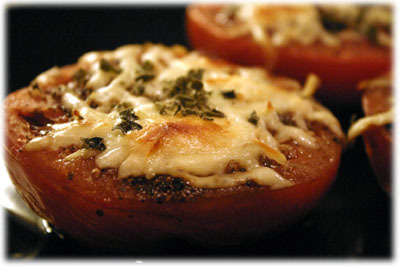 You'll also add a bit more zip to these stuffed peppers than those other plain recipes with some diced Jalapeno pepper and lemon zest before topping them off with Mozzarella cheese. 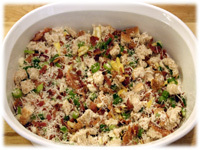 These make a nice side dish with the California barbecue chicken recipe. 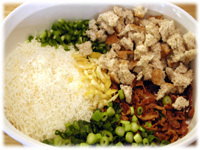 Combine the stuffed pepper ingredients in a large mixing bowl. Slice the top off each of the bell peppers and remove the pulp and seeds. 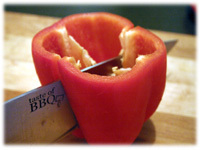 Slice each pepper in half and remove any remaining seeds and pulp. Preheat the grill to 400F - 450F and set up for indirect grilling. 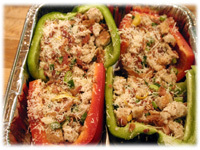 Place the sliced bell peppers in an aluminum pan and fill each one with the stuffing. Press the stuffing into the pepper to make sure it's secure. 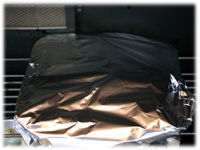 Cover the pan with foil and place it on the grill for indirect cooking (the upper warming rack works well for this). Close the lid and let cook for 40 minutes. 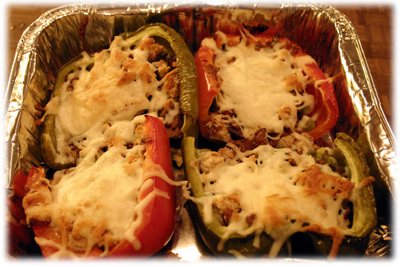 After about 40 minutes remove the foil and cover the stuffed peppers with shredded mozzarella cheese. 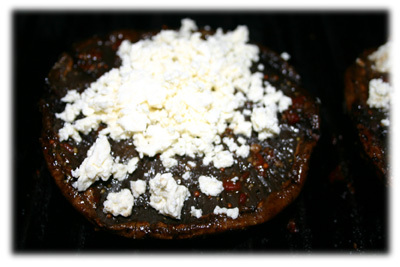 Close the lid and let cook until the cheese is melted and browning, another 5 minutes or so.